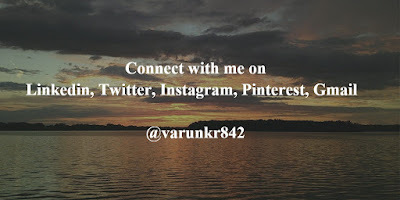 This blog is all about Digital Marketing, Social media, Content Marketing and Blogging. Hello friends, We all use social media for personal & professional reason on a day to day basis. We all love posting interesting stuffs, selfies, articles, videos, snaps and many more thing, but what if we can get 100 likes instead of 10-12 likes. We can surely increase this in short time, but social media engagement is a long-term strategy which is based on real one to one conversations. This week on 12th April 2016, I was the guest host on weekly #Rubhusocial Twitter chat hosted by Akathma Devi. 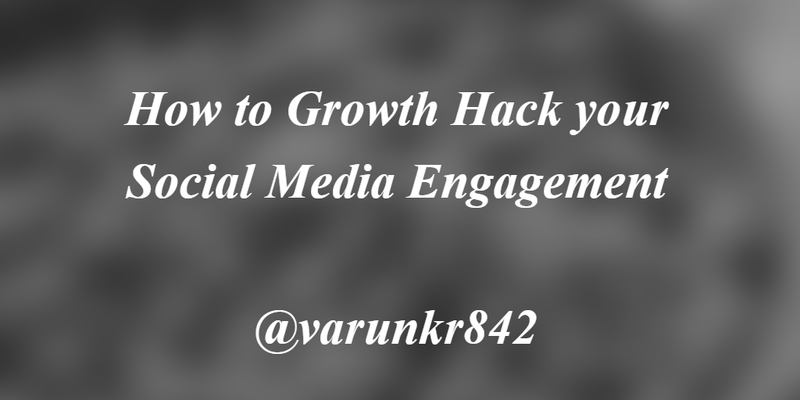 We have discussed, "How to Growth Hack your Social Media Engagement." This is not a rocket science, you need consistency in your content and have to be there to engaged in real time to get long term Engagement. 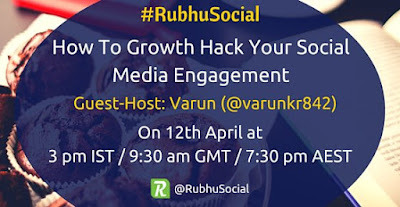 #Rubhusocial is one of most engaged twitter chat in India around Digital Marketing & Social Media. Q2 What is the real reason for low social media Engagement? don't bring board rooms formalities in your social media posts. SocialMedia Engagement is a long term investment like SEO, don't expect a quick fix. Be engaged to get Engagement. What are the biggest problem bloggers and freelance writers like you and me, face in our day to day blogging or writing job – Quality of blog post or writing. This is the biggest concern; any blogger or writer faces every day. Quality may depend on many factors like knowledge of the topic, research on the topic, data available, storytelling and ability to write. You may be thinking, why the hell, “ability to write”, is a factor here. Here ability to write is related to, “Grammatical error free writing” and this is more important if you are a Non – Native English writer like I. Grammar is the soul of any Language. It shows the richness and diversity of language. Grammar gives us the ability to express in the correct manner in that particular language. Here English is that language. There may be several times, you might be confused between American English and British English. For example - Favorite and Color (American English) or Favourite and Colour (British English), very simple difference but very confusing every time you go for writing. 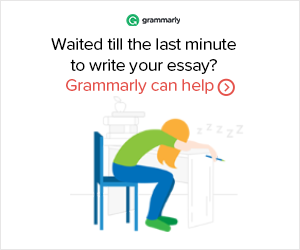 So, what is the solution of this big problem – Grammarly App. 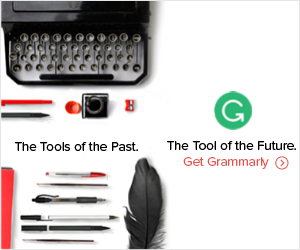 Grammarly is the world’s leading automated proofreader. It checks for more than 250 types of spelling, grammar, and punctuation errors, enhances vocabulary usage, and suggests citations. You may have heard this before and quite possible some of you may be using this simple but powerful proofreading tool. It is not only helpful in grammatical error checking but also, a great tool for Plagiarism checking. This tool is available as a chrome browser extension and also as a native app for Windows operating system. The Tool is available for free to perform basic correction of the grammatical error with weekly performance report by mail. 1. 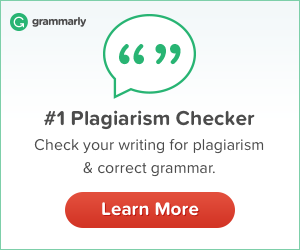 Grammar Check – This is the best thing for non-native English writers like you and me, we don’t need to worry about grammar instead we can focus on the quality of content. 2. Plagiarism Check – We all know the consequences of plagiarism and the bad name it will bring for us. This may happen due to ignorance also, better to check it for plagiarism before posting. 3. Spell Check – This is the most important thing in writing; a single letter can change the whole meaning of a word or a sentence. 4. Proofreading Tool – This is an overall tool which checks for more than 250 advanced errors due to various combinations of grammatical errors. 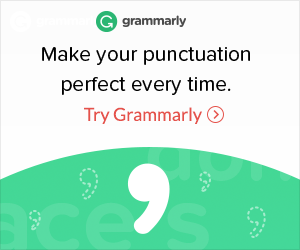 An online proofreading tool like Grammarly is the best tool available for bloggers or writers to focus on writing instead of grammars or any other errors. 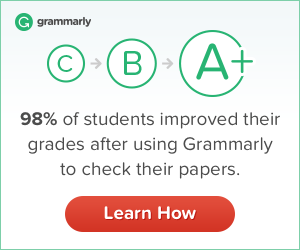 You can get free Grammarly account or if you have a free account, get the free premium account to check, whether it’s useful for you or not. Do try & share your thoughts on its usage and capabilities. Do you use any other proofreading tool; tell about that in the comment section or on twitter. If you like this article, please share this with your friends and community members. Here is a transcript of Q&A on Growth Hacking and SEO discussed during the chat. Q1. What is Growth Hacking? And can it be applied to SEO. Q2. What are some growth hacking strategies for SEO. Q3. Are there some tools to help SEO growth hacking? Q4. How do you know, your SEO growth hacking strategies working or not. Q5 What are your personal tips on SEO growth hacking. Q6. What expert or blog is a great resource for SEO growth hacking. 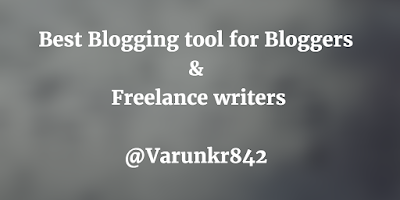 As a blog writer, we are always under pressure to write more blog post but with quality. There are always pressures from content managers or blog owners on you to bring fresh and engaging content. So, how can we get inspiration to write more blog post? 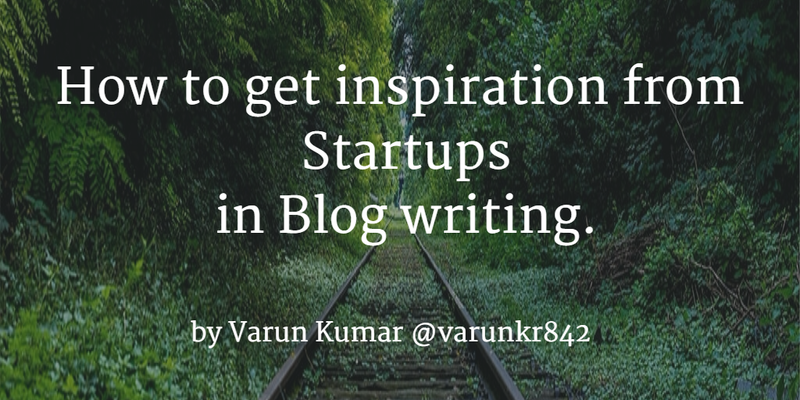 Blog writers like you and I can learn lots of thing from modern age startups. 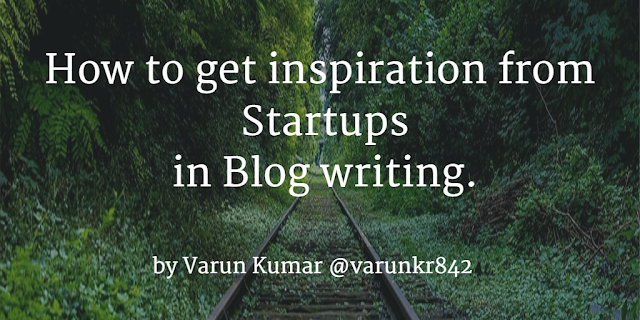 We have various similarities, by which we can take inspiration and enhance our blog writing. Startup – This is a big buzzword in business world nowadays, especially in the US, India, and China. These three countries are top 3 places in the world for startup activities. Let’s explore; how startups work. Here we will not go in details, why some startups grow or why some startups fail. We will only seek inspiration from their best practices. Let’s discuss; what you can learn from this. 1. 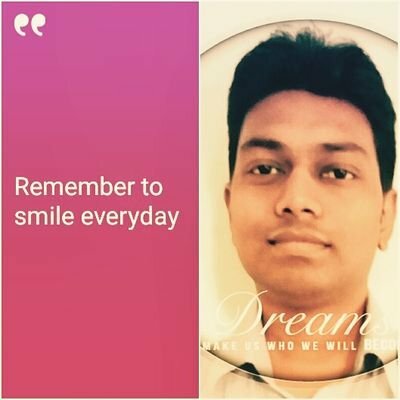 Solution of a specific problem - Most of the successful startups in the world are focusing on a specific problem of our day to day life activities like Shopping (Amazon, E-bay, Alibaba, Flipkart, Snapdeal etc) or Commuting within city (Uber, Ola) or Hotels (Oyo rooms) and more like this. Blog writers too can focus on a specific problem in their blog writing about their target audience or industry. You can bring those problems in light and can suggest solutions & best practices based on your experience or industry research data. Do some research, on topics before you start writing blog posts. If you are facing or have faced similar problems of that particular industry, you are the best person to write on that particular topic. 2. Cost Effectiveness – Startups are always trying to bring down the costs of their products/services to achieve cost effectiveness and to make it affordable to the consumers. What is the significance of this in blog writing? Good question; let’s try to find the answer. As a blog writer, you know, we all need several tools to do topic research, video/photo editing, writing & publishing tools and many more. Whether you are a freelance blog writer or works for a big brand or agency, you don’t want to exhaust your content marketing budget on blog publishing only. You all want to save money, so how to bring cost effectiveness in your blog writing.The solution is at your fingertips, just search the web and you will get lots of free and affordable tools to help in your blog writing or content production. You can outsource some of your projects on sites like freelance or Fiverr for as low as $5 to save some time and big money on costly tools (if you can’t afford these tools or you required them for one-time use only). Try them! 3. Target a Niche Market – Most of the startups even the Unicorns (startups having a market valuation of at least $1 billion) started their journey by targeting a Niche customer segment of a particular industry. What this means to you as a blog writer. Choose your blog’s topic by selecting a particular segment of an industry. 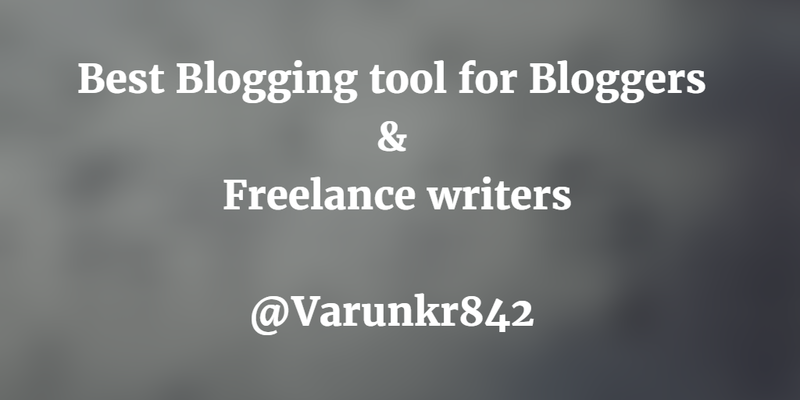 Let’s say, you have a marketing background and you write marketing industry related blogs. But, you know marketing industry is a very big field having several segments like Advertising, Branding, Digital Marketing, Rural Marketing, Social Media Marketing, Influencer Marketing and so on and even these segments consist of various sub-segments individually. So choose your sub-segment or your niche segment and become an expert writer of that field, to gain authority and make an impact among your blog writers. So it’s better to cater a niche market rather than fight in the bigger market and lost in the deep ocean. 4. Scalability – This is one of the best things, we can learn from startups. Every startup starts its journey by focusing on a niche market segment and later scales their products/services to the bigger market to tap bigger opportunities. As a blog writer, what you can do to scale or expand your blog writing skills to other segments. If you carefully analyze, most of the industry have some common problems like talent management, financing, sustainability, cost management, better allocation of resources and so on. Can you relate some similar problems in the other niche markets with your market, if yes, research and co-relate and write on that particular topic. This will bring new light on that topic from an industry outsider. Conclusion – We all have hidden talent and resources to expand and grow like startups to produce the quality blog post. We all want to create engaging social media posts to get more likes, shares, comments and a close sale (many times). But, how often fail to do that effectively. 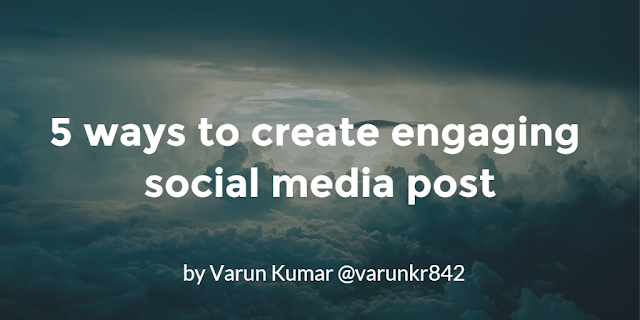 There are many ways to create engaging social media post; here are 5 ways to do that. 1. Shorter Post length - This is one of the most important factors to get more likes, shares/retweets, comments. Twitter: Use 100 - 120 characters in your tweets to get re-tweets and quoted by others. Facebook: Use 120 - 140 characters in your posts to make it shorter and crisp to read and get more engagement. 2. 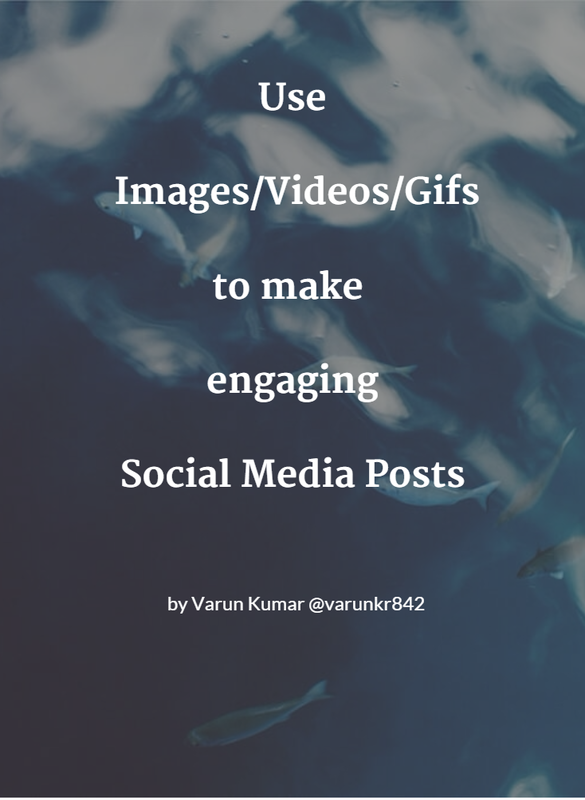 Use Images/Videos/Gifs - "An image is worth of 1000's of words", you may have heard this 1000's of time earlier. Nothing new in this, at the same time it is proven psychologically our brain is attracted towards visual. So, take the advantage of this and share your social media post with beautiful images. You can click images yourself or can use stock images available freely on the web. 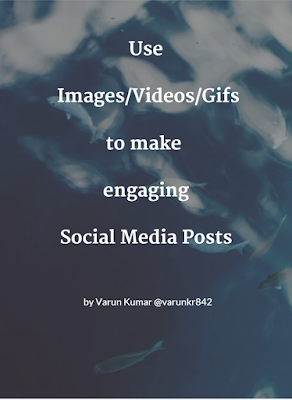 You can use some easy tools/website to make beautiful images, videos, gifs even infographics. 3. Use Hashtags/Keywords - Almost every measure social media platform including facebook, Youtube, Twitter, Pinterest, Instagram, Tumblr Google plus supports Hashtags. But what is "Hashtag" - it is a simple keyword, which is written after "#" sign, for example- "#Socialmedia" is a hashtag. Hashtags or keywords in your social media post help to reach more people and increases the life of your social media post. 4. Use Humor - We all are humans and we all love some humor and fun side. Social media is for making connections and igniting conversations. It is not like your official website or office workspace. Have some fun in your social media post. You can present boring messages into a funny image tweet or a shorter video. Some brands even NGOs are doing it to raise awareness and making more connections. for example - A Govt agency tweeting in a humorous way! Try it! 5. Humanize your Brand on social media - Show your Brand's human side on social media. Reply and thanks to those people, who likes, comments and share your social media post. This way you will provide a good incentive to the people to share your post and making it more engaging. Now you have some cool ways to create engaging social media post. Use it in your next social media post and tell me your experience. If you have some other cool tips, do share it in the comment. Twitter is one of the best social media platforms for real-time marketing & monitoring and people often struggle to get followers and authority here. Initially, I also faced the similar situation but later on I learned how to get followers and build authority. Here is an article from Social media examiner, in which author explains 4 simple ways to grow twitter following. These are, find and follow relevant people, tweet interesting stuff, engage with others and promote your twitter account through other channels. Engaging with other like-minded people around certain topic will increase your authority and help you to gain new followers. Tweet with images and see what your audience is talking about, join the conversation and build your authority. Here is another article from Crowdfire, in which they explain 25 ways to gain twitter followers. Some of the important ways are having a proper bio, Tweeting at the best time, maintain tweeting frequency and participate in Twitter chats to gain follower and build authority. This article too says engage with your audience, reply your mentions and interact with influencers. Both of the above articles have common points to gain followers and build authority. Follow people - Follow relevant people from your industry to get updated on your industry. Engage - Engage with your audience, influencers, reply to mentions, like or retweet the relevant tweets to gain more visibility. Twitter Chats - Participate in your industry related twitter chats to build you authority and gain followers. These are simple tips for anyone who is new to twitter or want to get more followers and build authority. What are your tips on growing twitter followers? 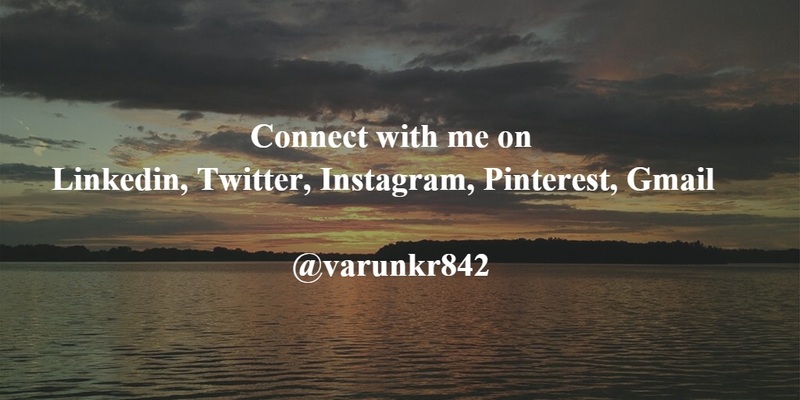 I am Varun Kumar from India. In Digital Marketing, Social media, Content Marketing, Blogging. I love to travel, photography and foods. by Northwestern University (http://bit.ly/1HOXtlA) on Coursera.